Fairmont Hotels & Resorts will have a sale on e-gift cards today and you can get a discount of 16.7%. Let’s take a look at the offer. Today, May 9th, from 2-5pm EST only, purchase an electronic gift card and receive a 20% bonus e-gift card free. Fairmont gift cards don’t expire. Fairmont runs these promotions every few months, and 20% is the best promotion they offer. It could be useful if you have any planned paid stays coming up at Fairmont hotels. This works out to 16.7% off, since you get a bonus, not a discount on the purchase price. Previous articleATW: Disney Had An Airport?!?! 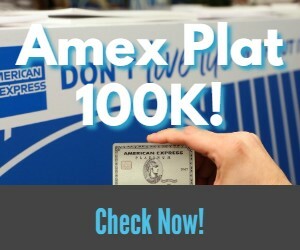 Hidden Amex Plat Perks, 125K Amex Bonus, 20% Off Amazon & Much More!